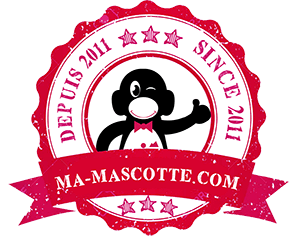 Range of mascot’s accessories: cooling mascot products carry bag, vision…. A range of accessories to facilitate the use of your mascot everyday ! Transport bag for mascot; practical to use: waterproof and super resistant, this bag will allow you to carry and store your mascot in any protection. Bag adapted for the transport of mascots because of its size suitable for a large volume and its reinforced closure. It will allow you to transport and store your mascot in an optimal way. The bag is equipped with suspenders. Approximate size: 170cm Length * 75 Height * 70cm width Bag XXXXL. Tip: For very large pets, it is advisable to divide the elements of your mascot in several storage bags to optimize the storage and transport (example: a bag for the head and a second bag for the body and the other elements). You want to give a voice to your mascot? Amplify your voice or broadcast music with a speaker or megaphone for mascot. Running on battery, this megaphone mascot allows you to animate your different events and animations. 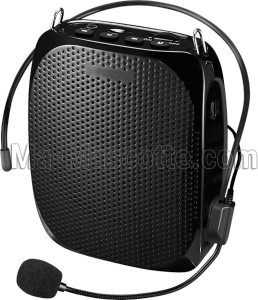 Nomadic speaker with microphone for mascot. Great reach. Supports SD cards. Charges on mains. The vision of your mascot is limited! We may have the solution. When making a mascot, there is always a balance to be found between respect for design and comfort of use, including vision. Depending on the design of the mascot, the vision of the person (from the inside of the mascot) may be reduced or even shifted. We created a unique system to develop the vision of the mascot. The heat that is created inside the mascot is a heat called “wet” to the extent that the perspiration of the person comes to mingle with the body heat released. This heat is stifling, because the air is not renewed (unlike inflatable mascots). Remove moisture and circulate the air inside the mascot: the use of nomadic fans (our mascots are usually equipped with this system); if you want to add one or more you can buy the fan for mascot by contacting us. We have several models of fans that can adapt to the configuration of the mascot (small or large). It is also possible to connect multiple fans to the same power source. 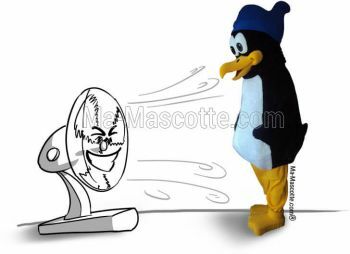 Lower the temperature of the mascot: use refreshing objects such as the jacket or vest refreshing . This is a jacket with internal pockets to slide packs of frozen gels. This jacket can restore the cold for several hours. 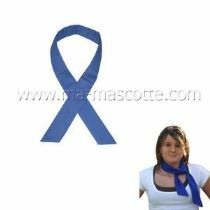 The refreshing mascot choker is a good way to lower body temperature at a lower cost. To date, there is no air conditioning system for mascot and it’s a shame ! All products offered meet CE standards. Key words: Mascot accessories, mascot fan, mascot cold jacket, mascot refreshing jacket, mascot air conditioning, mascot speaker, mascot megaphone, mascot speaker, mascot transport bag, mascot vision, mascot camera.